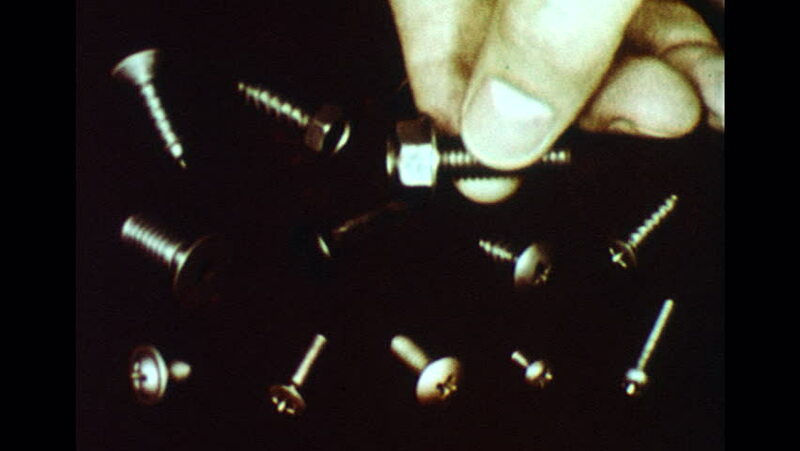 UNITED STATES 1960s: Close up of screws and bolts, hand picks up bolt. Threading machine working. hd00:20Array of spent casing on a simple black reflective surface. This video is a 3d rendering. hd00:20Animation of bacteria virus or germs microorganism cell under microscope with depth. Animation of seamless loop.